Arsenal forward Alexis Sanchez has been accused of committing tax fraud in Spain when he was a Barcelona player. Prosecutors in Barcelona allege the 27-year-old failed to pay tax on 983,443 euros (£888,246) between 2012 and 2013. They say the Chile international used an offshore company in Malta to avoid paying tax on image rights earnings. 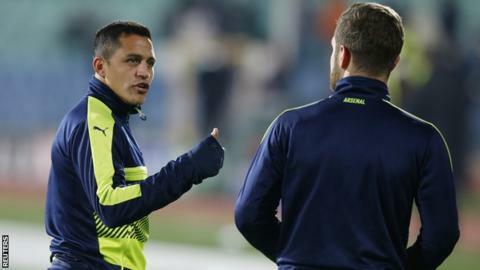 A statement published by his agent said: "Alexis Sanchez has fully obeyed the laws imposed by the countries where he has resided." It added: "He has paid taxes to all the local tax and revenue organisations. Furthermore, all of his personal and image rights income has been declared to all of those national tax and revenue agencies." Sanchez joined Arsenal from Barcelona for £35m in 2014.